Unless you're old enough to join AARP, you probably don't know that the Cleveland Browns used to be a great football franchise, just as the GOP used to be a dominant political party. Cleveland's recent debacle with Johnny Manziel rather resembles what's happening at the GOP Convention in Cleveland with Donald Trump. The Cleveland Browns were known for years as a lunch-pail sort of team, winning several AAFC and NFL Championships behind gritty quarterback Otto Graham, and later the incomparable Hall-of-Fame running Jim Brown. They won nine league championships and a dozen conference championships from the 1940s through the 1960s. They were typified by their determined "Dawg Pound" fans, cheering the team through bitter weather. 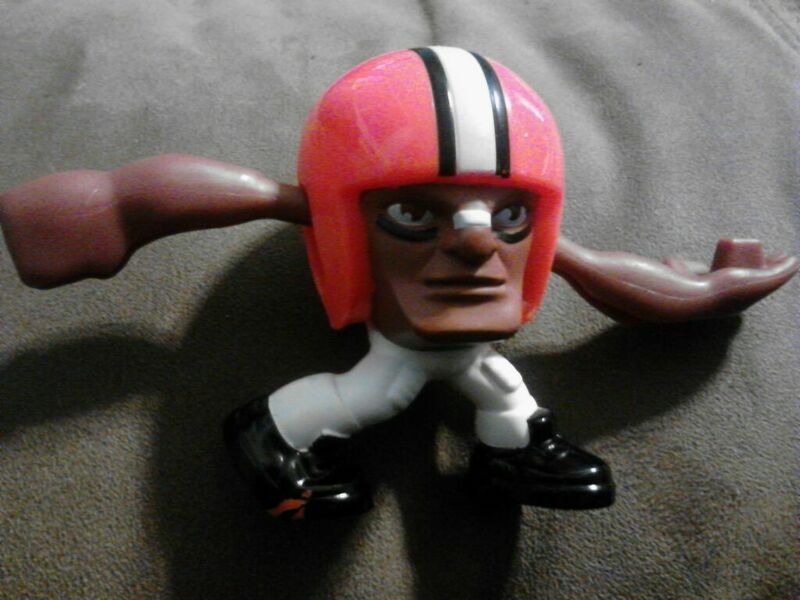 In the 1980s and early 1990s, the Browns were led by tough guys like Clay Matthews on defense, tight end Ozzie Newsome, and Bernie Kosar at quarterback, with a bruising running combination of Ernest Byner and Kevin Mack, and a nasty defense that opponents feared. They were a few Jon Elway and Dan Marino miracles away from a string of Super Bowl appearances, and perhaps wins. And if Art Modell hadn't yanked the team to Baltimore to form the Ravens, GM Newsome would be wearing those Super Bowl rings in Cleveland. But the new expansion Browns have been anything like their predecessors. Instead of filling the roster with hard workers, they've sought to draft superstars and prima donnas. In fact, Browns owner Jimmy Haslam (brother of Tennessee GOP Governor Bill Haslam) commissioned an expensive study of who his team should draft, ESPN reported. The analysts recommended the competent and hard-working Louisville QB Teddy Bridgewater. But Haslam ignored the study, and went with "Johnny Football," Texas A&M celebrity quarterback Johnny Manziel. The rest is history, or more specifically, infamy, for the Browns. And Bridgewater led the Minnesota Vikings to their first division title in years, beating out the Green Bay Packers. It's not too different from the Republican Party, which used recruit candidates with political experience, who paid their dues in military service and public service. Even when Ronald Reagan was nominated, he served two terms as California Governor. And they appealed to the working class, the middle class, and often sought to be uniters, not demonizing a particular demographic or gender for votes. Just as Arizona Senator John McCain just came up short (like the Browns of Kosar's years), the GOP decided they needed celebrities more than the lunch-pail crowd. So they turned to businessman and Olympic organizer Mitt Romney, with only a single term to his credit, who turned off women and Hispanics with his policies. And they recruited Clint Eastwood to be a key speaker at the convention in Tampa, Florida. Sarah Palin abandoned her office in mid-term to be a reality television star and party celebrity. It seems you couldn't run for office for the GOP unless you paid your dues as a Fox News television commentator. As New York Times Columnist Thomas Edsall reported, GOP Chairman Reince Priebus commissioned a study to determine how to improve the party after the 2012 election. The study recommended appealing to women, and minorities, having fewer debates, etc. Like the Browns, Priebus threw out the study and did the opposite of the study, and presided over a party that just nominated Donald Trump, a reality-television star and self-promoter who is the political equivalent of Johnny Manziel. Trump could win, of course, just like Manziel might still win a starting job somewhere. But in the process, Trump could turn the GOP into the sports equivalent of the Browns today for years.